R-X24, Studio compressor from Lisson Grove. The R-124 is a valve compressor based on the classic 1960s British studio units used extensively on all of the Beatles' recordings. The R-124 is a tool suited for tracking, mixing and mastering applications alike. From left to right, the 2U unit's faceplate comprises a Balance control, chicken head knobs for Input and Output gain, a circular VU meter, rotary pots for Attack and Threshold, another chicken head knob for Release, and a power switch with bright jewel lamp. Rear panel connections include a power cord receptacle, 1/4-inch jacks for the Infinity and Link, and XLRs for In and Out. The Lisson Grove device also adds an Attack control, which can slow down the attack for mastering situations and other uses. The Threshold control on the R-124 also offers a twist in that it uses the dynamically changing compressed signal as its point of reference rather than a fixed voltage. In other words, as the knob is rotated clockwise to raise the compression threshold, the tone changes slightly adding a subtle sparkle, which can be a wonderful way to "tickle" the vocals or a mix. One of the classic features that Lisson Grove has preserved on this unit is the Infinity control, formerly known as Hold. In between each of the six recovery settings on the Release control is the infinity position, which is, in effect, an extremely long recovery time. The Balance control provides a way to balance out the two sides of the gain reduction valve, thus minimizing distortion and feed-through thumps. By pressing the adjacent button, the engineer can then adjust a small trim control until the pulsing sound is heard at its thinnest or lowest level. 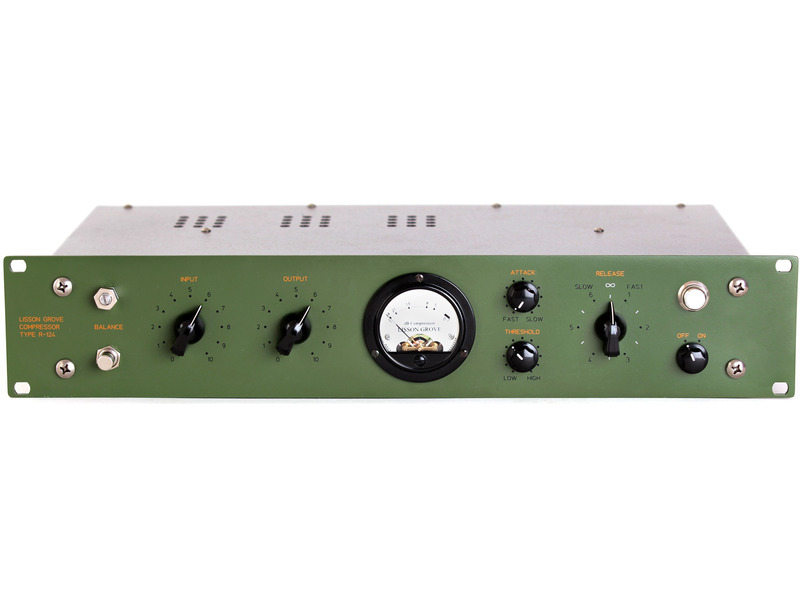 Currently available, the Lisson Grove R-124 compressor features a US retail price of $3,700.00 and is exclusively distributed in the States by Vintage King Audio. 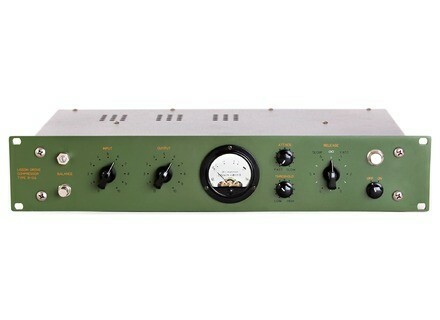 For more details on the product, visit Lisson Grove online at www.lissongrove.us or Vintage King Audio at www.vintageking.com. [NAMM] Phonic Digital Mixer S16 Phonic Corporation recently released a major upgrade for its new S16 Digital Mixer, which will be on display at this year's NAMM show. Compressors: How They Really Work It's one of the most used, and most misunderstood, signal processors. While people use it to make a recording "punchier," it often ends up dulling the sound instead because the controls aren't set optimally. And it was supposed to go away when the digital age, with its wide dynamic range, appeared. Milab-Rycote SRND 360 Milab Microphones announce a collaboration with Rycote, the British manufacturer of microphone windshields and suspensions, giving birth to a custom version of the Rycote InVision USM (Universal Studio Mount) suspension for the Milab SRND 360 surround microphone.